Story Time in the Rift Valley. All Photos by Michelle Russell. There are countless causes, destinations, and communities all over the world that benefit from volunteer service. But the sheer amount of information, organizations, and options are overwhelming. How can you sift through it all and find the right program? 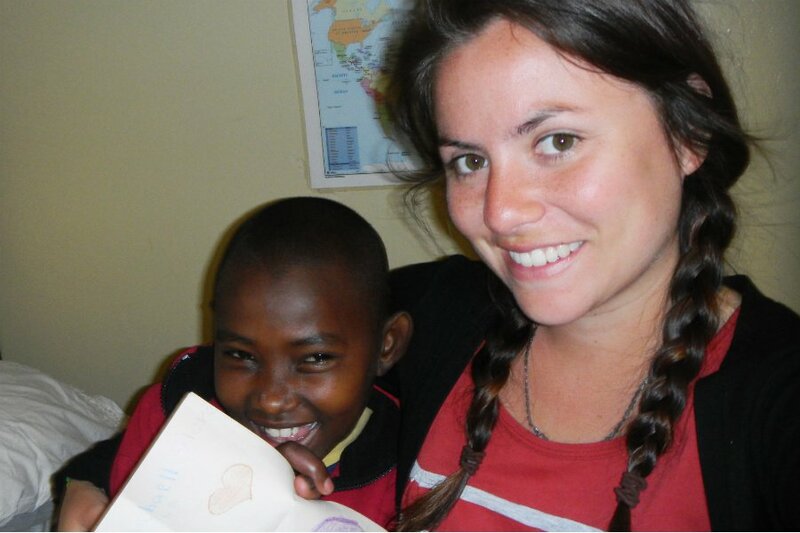 Social worker and experienced voluntourist Michelle Russell shares her insights. I first got involved with voluntourism through a college roommate who had a family friend on the board of the . 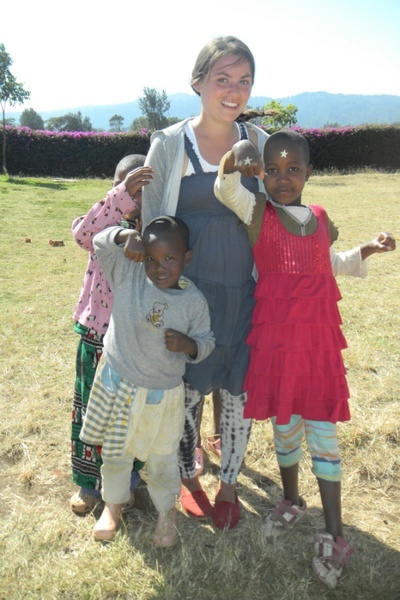 I spent a few months with the Rift Valley Children's Village and had a wonderful experience. The program started as an orphanage and has grown to include schools and scholarships for secondary education, local medical clinics, and a micro-finance program that helps local entrepreneurs build businesses. I lived in the village and assisted with meal preparations, nightly story time, and household chores. I also served as an English tutor and assisted the nearby primary school's faculty with various school activities. 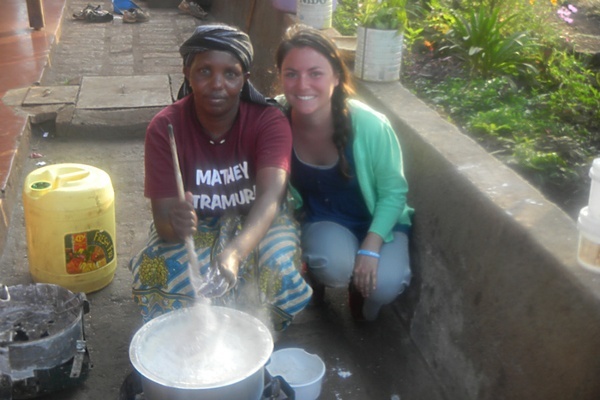 I learned Swahili and was comfortable conversing with locals when traveling throughout the area. On time off, I visited Tanzania's amazing national parks and climbed Mt. Kilimanjaro. Volunteering and making new friends. It's important to realize that volunteering abroad isn't a vacation, and just being there isn't helping. You need to respect cultural norms and provide some kind of insight into how you can best help the community. Find a balance between enjoying traveling and recognizing why you're there, and you'll have an incredible experience. It's important to remember that as a volunteer you are not simply a tourist traveling to see a new place, but a vehicle for progress. Pay special attention to how your presence and actions may both negatively and positively impact local communities. Listen to them — they know best. Find out what they need — don't tell them what they need. Be aware of cultural norms and implications. Consider how your unique skills and experience can contribute to the mission of the organization. You are one person and change is gradual. Be willing to roll with the punches. This will be an experience unlike any other. Enjoy it! Again, remember that you are visiting people's homes and entering their lives. When researching programs, consider how policies and protocols impact the people their intend to serve. Find out where the money goes based on financial reports. This may be difficult in some cases because there might not be an abundance of information on programs that are in early stages of development. Decide whether you would prefer to work with an organization that is well established and organized or whether you thrive in a "start-up" environment, which may allow more flexibility and room for innovation. Your safety is the most important thing to consider. Research the regions where you will be visiting. Decide if you want to travel with a group or solo. You will likely be immersed in a new culture and may not speak the language. Depending on the needs of the organization at any given time, volunteering solo may require you to assume more responsibility. Alternatively, when part of a group, you may have less opportunity to play a variety of roles. Be vocal about the unique skills you can contribute. Some smaller programs aren't as established as larger ones. Sometimes you may have to travel around on your own. Size doesn't necessarily matter unless you prefer a more established organization with structured protocol. Research whether or not the program is reputable, if your money is going to the right place, and what you can offer. Then pick the program. Communicate with a volunteer coordinator to find out all the information you need to make good decisions. Some organizations will have clear and abundant sources of information or websites. For example, larger organizations like have earned solid reputations. Packing lists, itineraries, and cheat sheets on what to expect are signs of a well-run program. Unfortunately, smaller and younger programs may not offer as much published and accessible information. The biggest issue when working in developing countries is that there aren't strict guidelines about financial accountability. Talk to former volunteers if possible. Word of mouth is the best way to find out how an organization really runs their trips. Key things to look out for: Is the money going to where they say it is going? What is their mission? Do their activities align with their alleged goals? Be aware of organizations that seem too lenient about what they expect of volunteers. Consider how the program's volunteer policies affect local communities/beneficiaries. Allowing volunteers to visit for very brief stays may not be in the best interest of the local communities. Is the organization responsive and available to answer your questions? Are they willing to help you prepare for your trip? Another thing to look out for again is how much the program costs. Does it seem like a reasonable price? Is it possible that some of the money you pay isn't going where it's supposed to? Look at how much you are spending and be sure it makes sense by local economic standards. There are so many important causes — health, food production, economic empowerment etc. — where dedicated activists are making great strides. I would say that education — particularly girl's education and gender equality — and maternal health have gained more attention in recent years. Most of these causes are mutually dependent and all are imperative for sustainable progress. Causes like nutrition and agriculture are always consistent and big. However, the importance of the cause is dependent on the area and the culture you're visiting. In most cases you will be visiting an extremely poor country, and the conditions of your new setting will be different than what you are accustomed to. You will lack daily conveniences that are second nature at home. Depending on where you are, telephone, internet, and email may be difficult to access. The food, water, and weather may affect your health. It could be more difficult to access a doctor when you're feeling sick. Always travel with standard medications and consider getting travel insurance. Another important piece of advice: be easygoing and roll with the punches. Things aren't as structured in developing countries. If something is scheduled to happen at 2p.m., it probably won't happen until 2:30 or 3. Your car might break down on the side of the road. You may be shocked by a lot of things. They're all part of the excitement! , , and post great opportunities to connect with volunteer and job opportunities. , , and evaluate charities as well. produces an annual list of the best NGOs. Be sure to visit the organization's site as well. Michelle is a social worker, avid eater, and seeker of any opportunity to dance. You can follow her on . She travels for the ubiquitous adventures that open doors and minds. В интеренете нашел классный портал , он рассказывает про женская оправа для очков .